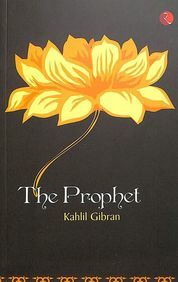 The work of the great Kahlil Gibran, the poet and philosopher, has been translated into more than twenty languages. The Prophet, his most mystical and powerful work, is a collection of essays in prose as well as poetry, exploring the meaning of life and the condition of man. Illustrated with the author’s own drawings, it was first published in 1923, and has never been out of print. Kahlil Gibran (1883-1931) was a Lebanese-American artist, poet, writer and philosopher.